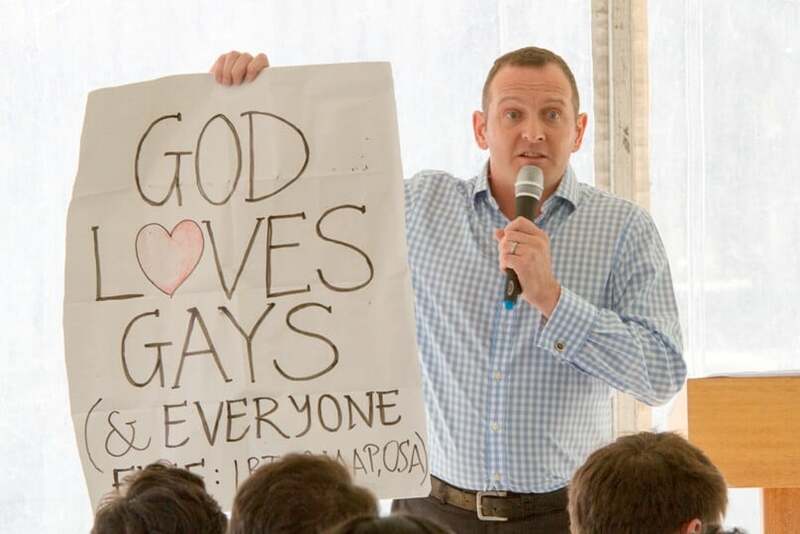 A one-time gay activist who converted to Catholicism faced noisy opposition when he spoke at the University of Sydney for the Catholic student society today. James Parker tried to defuse the situation by speaking to the protestors directly but was drowned out by megaphones, chanting and a trombone. A smiling Mr Parker then joined in the chanting – chanting “homophobia’s got to go” – and invited people outside the marquee to come and listen to his talk. At one point he stopped his talk and took a banner proclaiming “God loves gays (and everyone else)” to the protestors. Several small groups of protestors did listen to the talk and asked questions during the Q&A. Several protestors also spoke to Mr Parker after the event. A full report will appear in next week’s edition of The Catholic Weekly. Previous articleDoes God speak to humanity?